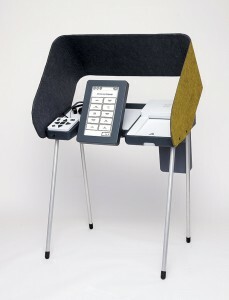 Los Angeles County has designers looking at the voter experience and upgrading election technology accordingly. But in a tightly regulated business dominated by just four companies, could it happen nationwide? After the 2008 election drew record numbers to the polls, Dean Logan, L.A.’s top election official, decided it was time to replace the county’s obsolete machines, which are based on technology developed in the late 1960s.